In 2009, director Niels Arden Oplev gave us the original film adaptation of Stieg Larrson’s best selling novel, The Girl With the Dragon Tattoo. The Swedish drama-thriller made $104 million at the box office worldwide. Though Oplev’s adaptation was released before David Fincher’s in 2011, Fincher’s film, starring Rooney Mara, remains the more popular of the two. Regardless, Opley’s success may have been partially due to the outstanding performance of Swedish actress Noomi Rapace. Fortunately, Oplev and Rapace have been reunited! 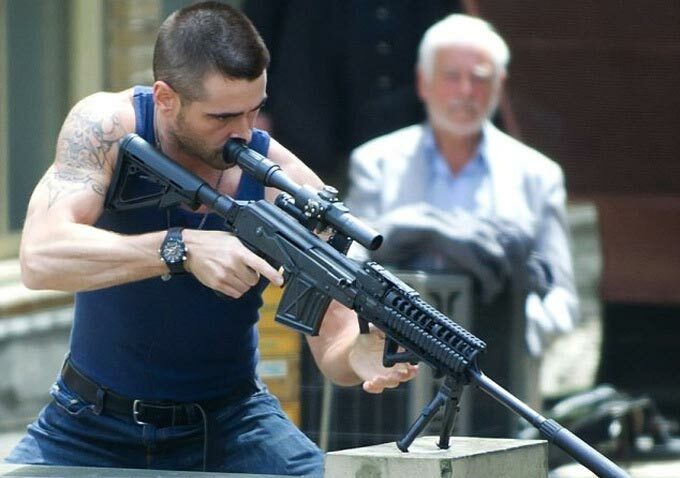 Dead Man Down, which marks Oplev’s first American theatrical debut, features several more recognizable actors; along side Rapace stars Colin Farrell and Terrence Howard. The three are joined by a talented supporting cast: Dominic Cooper, Isabelle Huppert, and Armand Assante. Judging by the trailer, Dead Man Down will gun for a more intricate plot than what we’re used to seeing from the thriller genre. Farrell plays as the badass man of justice, Victor, who has several missions throughout the film. He may be the right hand man to the underground New York crime lord, Alphonse Hoyt (Terrence Howard), but his involvement is much deeper than that. Victor not only seeks revenge for the death of his wife and daughter, caused by Hoyt, but he’s also being blackmailed by Beatrice (Noomi Rapace), who also seeks the revenge of Hoyt. Both Victor and Beatrice will have to work together for their common goal, while Victor continues living a double life as Hoyt’s employee. Can The Swedish Director Engage Americans? It’ll be interesting to see if the foreign director can pull off this American thriller. The trailer is set to a Pink Floyd cover of “Shine On You Crazy Diamond.” Its addition certainly aids in making the slow-motion explosions, chases and gun fights all the more dramatic. The challenge exists with the film’s multi-layerd plot. Just how will it all pan out in this revenge flick, especially with the obvious sexual tension between Victor and Beatrice? Will they both get the revenge they deserve, or will the crime lord outsmart them both? Directed by Niels Arden Oplev, Dead Man Down slams into theaters March 8th, 2013. Be sure to check back with RMN for any future news. Twitter fans, follow the hashtag #ISawWhatYouDid.